Create Embellish Adore: Wonderful Day! Its nice to break out the new rubber and get inky! I have a few sets that are out of my norm... which I thought would be the best way to say "I didn't have a norm" any longer. I used this Summer Afternoon set for the first time and did a little watercoloring. Now, before you totally critique it... I was nervous. I tried to remember all the stuff I learned on how to do it. Twice I almost threw in the towel and got a blender pen! I am impressed with the layout and I like the way it all turned out! Gumball green was getting alittle tricky on me. 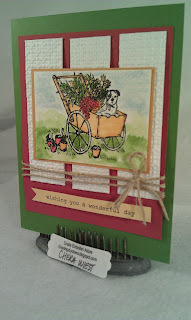 I did use More Mustard for the cart and the layer behind the stamp. 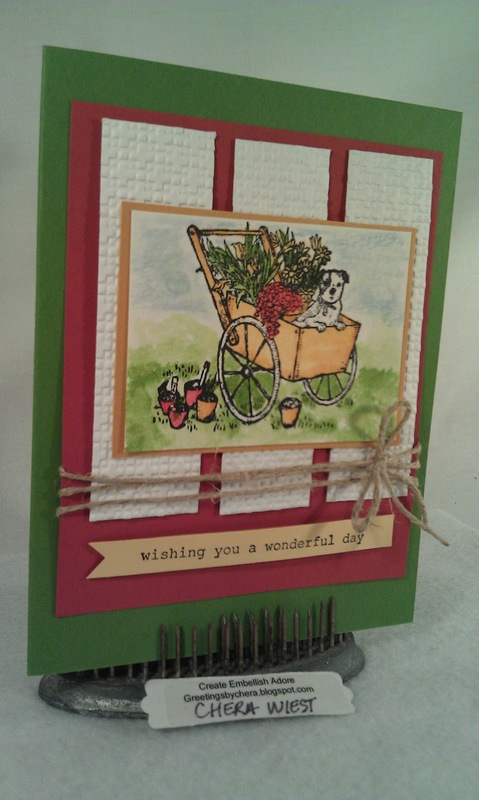 So Saffron is the sentiment cardstock as well as the flowers in the wheel barrel. 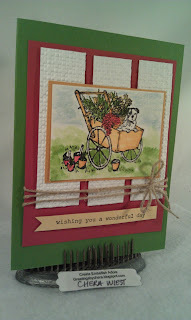 I used the Riding Hood Red for the flowers, some pots and then behind the embossed White. 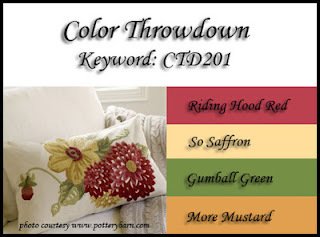 You totally rocked the throwdown colors in this great summery card! Thanks for playing along with us this week! 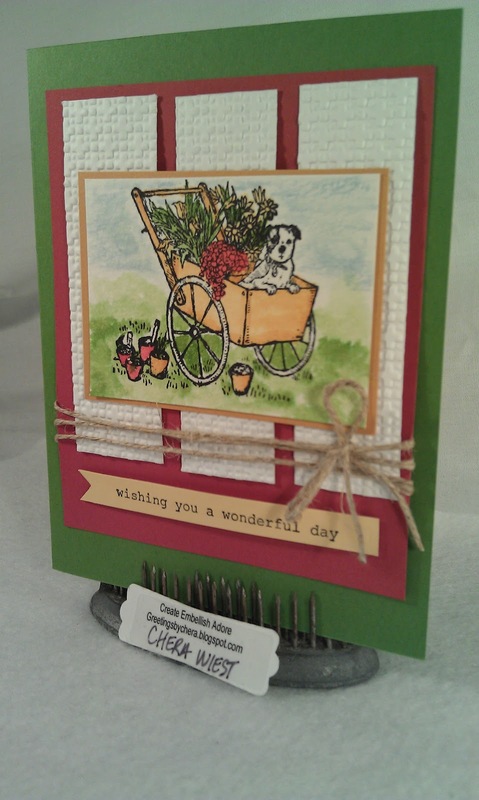 cute summery card, love the panels and image. Your watercoloring is lovely! Thanks for joining us for this week's Color Throwdown.